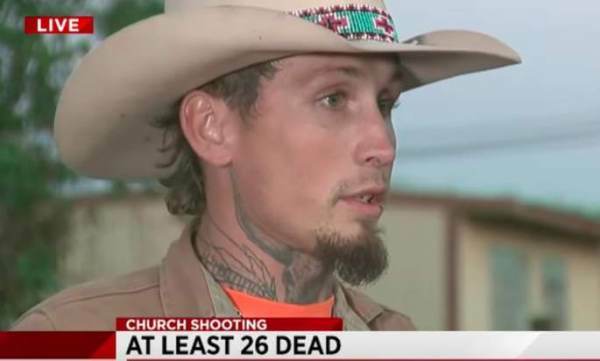 Johnnie Langendorff was driving by the scene of the Sutherland Springs Church shooting when he witnessed shooter Devin Patrick Kelley exchanging gunfire with another man. After Kelley fled the scene, Langendorff and the man chased after the killer in his truck. After Kelley lost control of his vehicle, the man jumped out of Langendorff’s truck and pointed his rifle at the killer until police arrived on scene. Earlier today, San Antonio police announced they were searching the home of the Sutherland Springs church shooter for explosive devices. Police are checking for explosive devices at the home of a man suspected of shooting and killing at least 27 people and wounding more than 20 in a Sutherland Springs church on Sunday. The San Antonio Police Department is sending a K9 unit to the scene, an official told mySA.com, though it’s unclear where the home is. 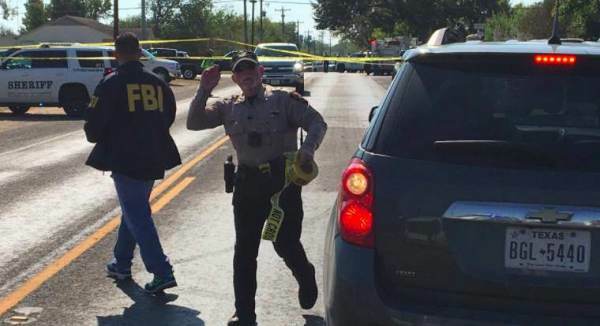 As The Gateway Pundit previously reported, at least 27 people are dead after a gunman opened fire inside the First Baptist Church of Sutherland Springs in Texas. Wilson County Commissioner Albert Gamez Jr told CNN that at least 26 people have been killed in the shooting, but the death toll is expected to climb.